Whether it is to closely read a first-person narrative or to look for a character's motivations in a novel, teachers want to make sure students are reading with a critical eye and therefore will assign annotations. But students are not always given the tools to annotate well. Why do teachers ask students to annotate? 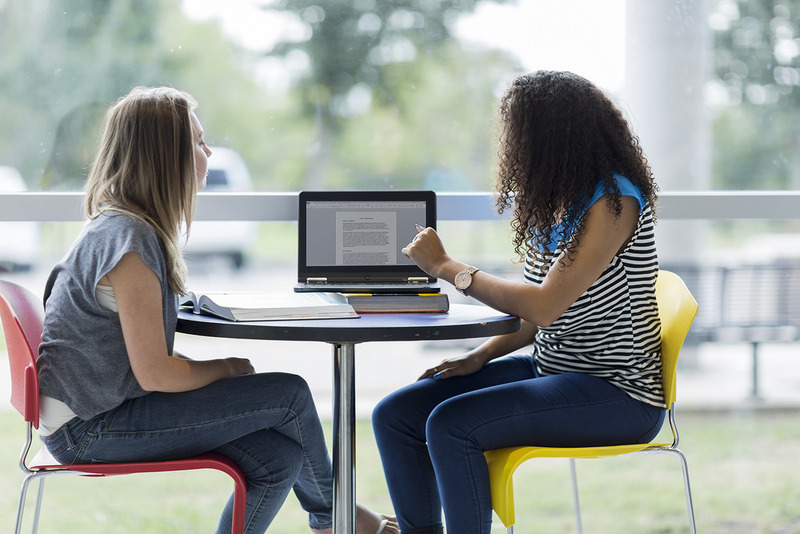 It is useful because it helps students closely read difficult information, remain connected to their reason for reading, and remember what they read when they have to go back and write a paper or participate in a discussion on a particular topic. Here are some tips you can share with your child on how to annotate. 1) Think about why you're reading the text. What is the assignment? Are you reading a chapter in a biology text as a preview of the next day's lecture? Does your teacher want you to look for metaphors in a poem? When you understand why you're reading a particular passage, chapter, or article, you are on the road to having good annotations. 2) When reading to learn content: paraphrase, ask questions, and look for key terms. You don't have to paraphrase every paragraph; focus on the ones that are teaching you core concepts. Don't paraphrase with one word; make your annotation meaningful. When you circle vocab words and underline definitions, take a moment to make yourself a flash card if you are asked vocab on tests and quizzes. Write any questions you have in the margins so you can ask them later. 3) When reading for a specific purpose, annotate on that question or prompt. check the prompt for key words that will let you know what the teacher wants you to do: analyze, evaluate, determine, argue, summarize, and support are some examples. all of your annotations should fit within those parameters; this will make it easier when you go back to the text to pull out ideas/quotes. make your annotations meaningful: don't just write, "OMG!" or "I agree!" Instead, write things like, "character is angry and lashing out," "calm water metaphor," or "reasons pilgrims wanted to leave England." 4) Annotate while you read. This is important! Although there is a learning curve involved in annotating well, it is not as helpful to annotate after the fact. Get in the habit of paraphrasing and writing notes and questions in the margins while you read. It helps you engage more closely with the text and think more critically about it while you read.